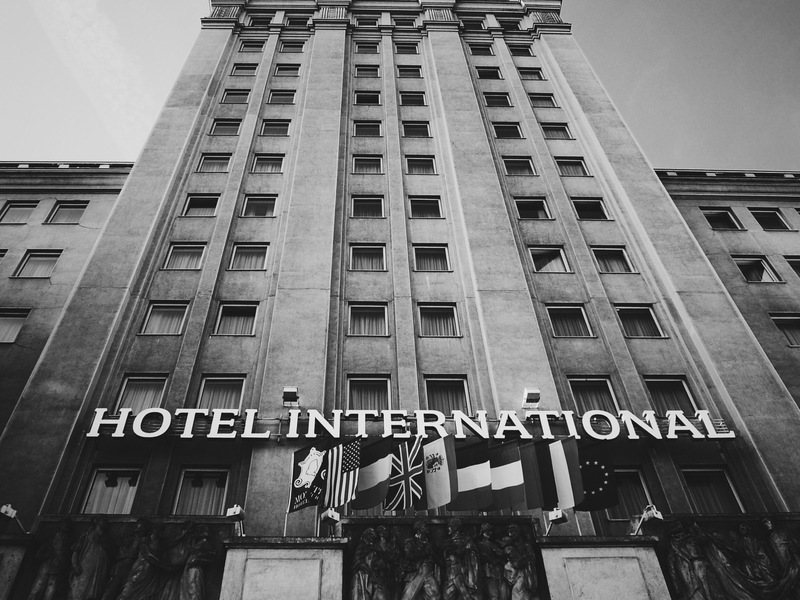 My recent blog post on the Intercontinental Hotel in Prague got me thinking generally about Communist-era hotels. 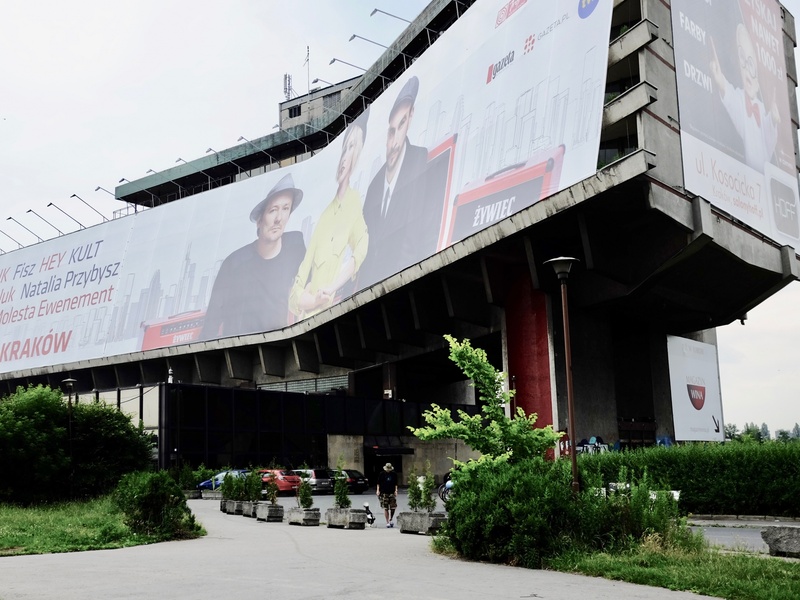 Back in the day, nearly every city of any size in Central & Eastern Europe had at least one purpose-built high-rise somewhere near the center where it was expected (and often required) that foreigners would stay. 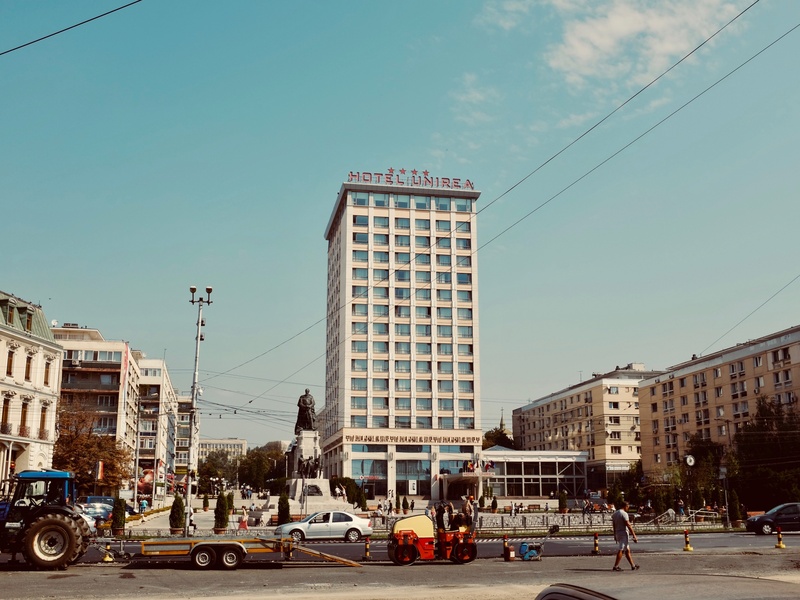 Over the years, I’ve found myself checking into dozens, maybe hundreds, of these places, in cities stretching from the Czech Republic to the Republic of Moldova. I went through some old photo albums from previous trips and pulled out my favorite shots over the years. The photos show off some of the best and worst aspects of these weird demi-worlds, where the spirit of the old Communist regimes often lingered for years after the political structures that supported them had collapsed. Top Image: The oversized Cosmos Hotel in Chişinău, Moldova (see map plot, below). A classic example of 1970s' Soviet gigantism that's failed to find a natural clientele in the modern era. The rooms are too small and poorly fitted out to command the prices that management would need to improve the property. We'll see what happens. Photo by Mark Baker. Posted in Diversions, Tales From The Past and tagged Architecture, Bulgaria, communism, Czech, hotels, Poland, Prague, retro, Romania. The Hotel Jiul in Craiova, Romania, was closed down in 2015 and remodeled beyond recognition by the acquiring Ramada Inn group. In its day, the Jiul was one of the cheapest, creepiest, and most memorable Communist-era hotels in the country. Photo by Mark Baker. The interior of one of the first-floor suites at the Hotel Jiul in Craiova, Romania. Caught somewhere in the 1970s. 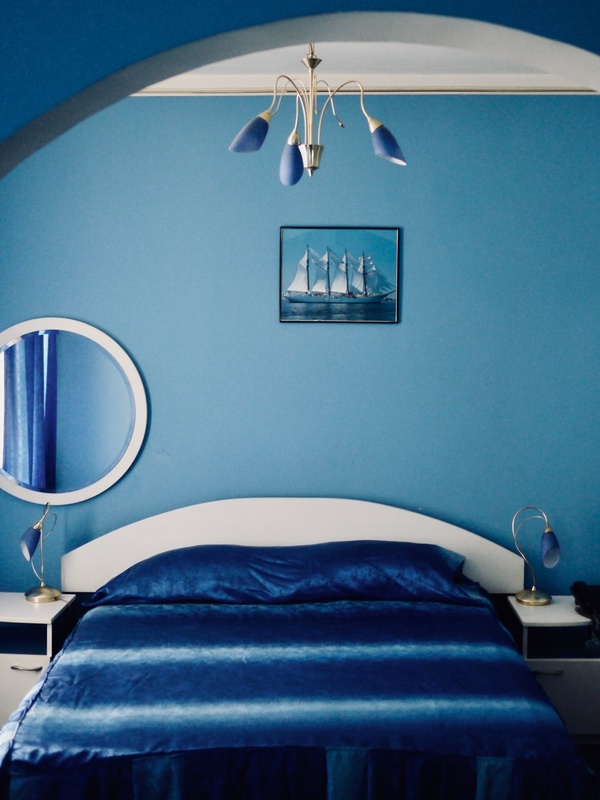 The walls were creamy blue and the bed covers a dark-blue velvet. David Lynch would have felt quite at home. Photo by Mark Baker. The legendary Thermal Hotel in the historic Czech spa resort of Karlovy Vary. A gloriously hideous hotel in a town that's filled with beautiful but somehow bland 19th-century spa and hotel architecture. The rooftop swimming pool was famous during Communist times, but it has been sadly left to rot away (the last time I checked). Photo by Mark Baker. 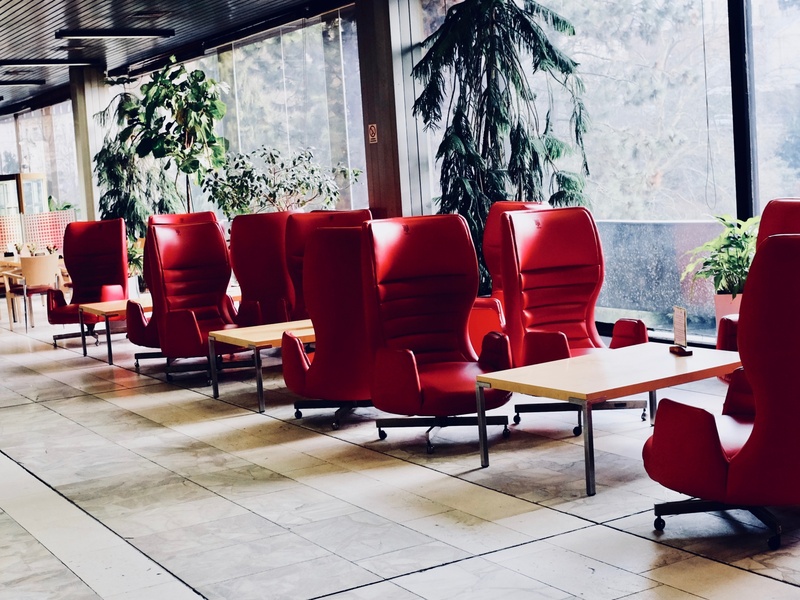 The airy lobby of the Hotel Thermal in Karlovy Vary, Czech Republic, for years, was stuffed with these retro-futuristic, bright-red chairs. I always admired the lobby's polished, stylish interior, which compensated in part for the aggressive exterior. Photo by Mark Baker. In my travels around Central & Eastern Europe the past three decades, first as a journalist and later as a travel writer, I’ve stayed at a lot of hotels in the region. Since the fall of Communism in 1989, the number of lodging options has exploded. Big hotels, small hotels, pensions, B&Bs, Airbnbs, hostels – basically anything you’d find anywhere else, you’ll find here. And the standards have risen dramatically. But I still have a soft spot in my heart for those big, purpose-built Communist-era high-rise hotels. It may not be obvious now, but if you happened to be traveling through any city of any size in Central or Eastern Europe before 1989 and looking for some action – and by this I mean a meal, some drinks, and maybe a bar or club – chances are the only place in town you’d find it would be at the city’s central, state-run hotel. You could always tell these places by their very consciously Socialist names, such as “Mir” (Peace) or “Družba” (Friendship) -- or grand city names like “Moskva” or “Riga.” They not only had the best rooms in town, they often had the finest (or at least most expensive) restaurants and bars. Many also had risqué nightclubs, invariably referred to as “gentlemen’s clubs,” with names like the “Black Cat,” though these were usually as uninviting as their Western counterparts. 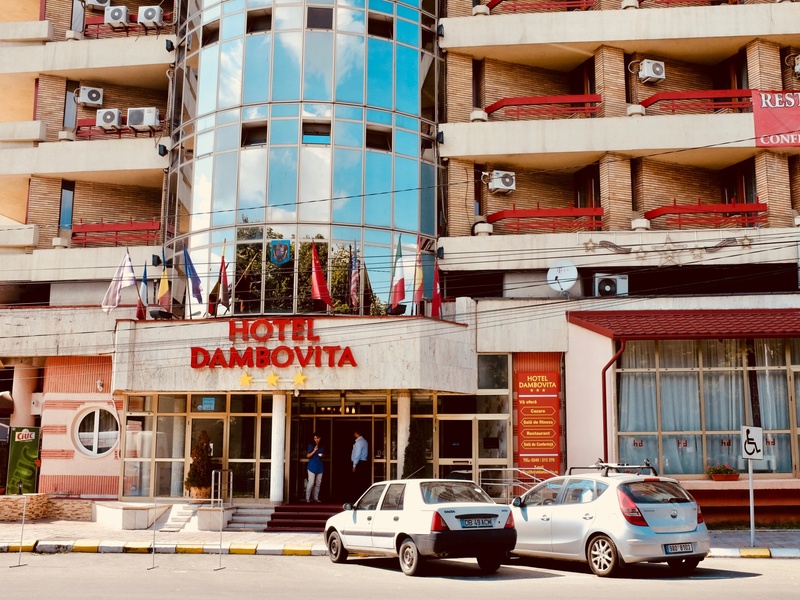 Back then, the hotels were usually operated by a state-controlled hotel chain, with an outwardly tourist-friendly name hiding what was, in fact, a cheerless arm of that country’s Interior Ministry or Communist Party. Russia’s state-run "Intourist" travel agency was the model, but all of the smaller countries had their own versions: "Čedok" (in Czechoslovakia), "Orbis" (Poland), and so on. 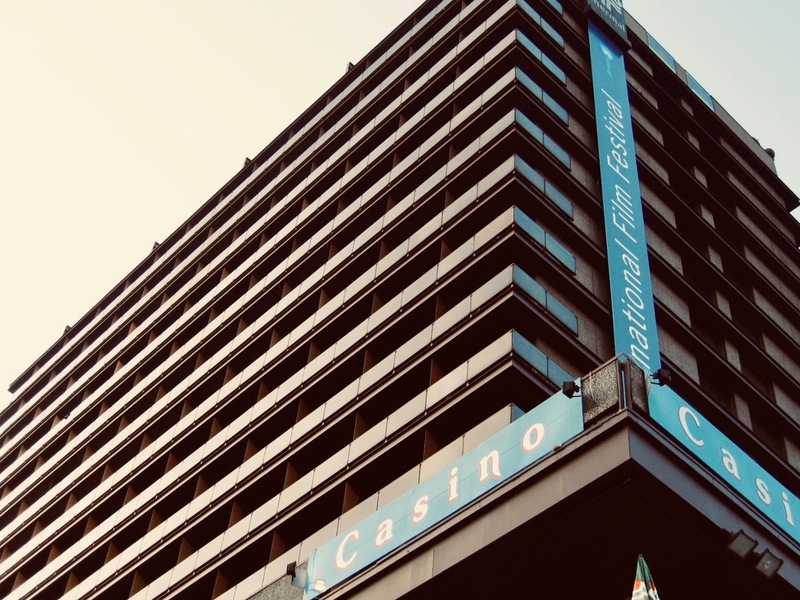 It’s not immediately obvious why the party and state-security apparatus would take such a keen interest in running hotels until you consider the fact that these places were tremendous moneymakers for the regimes. They could charge for the rooms and meals in hard currencies (mainly, at the time, U.S. dollars or German marks) and had a captive clientele of relatively well-off foreigners to whom they could market their off-the-books services like prostitution and money-changing. There was simply too much cash floating around to pass up. This nexus of party bosses, state-security types, local hustlers, and Western businessmen often lent the hotels a sleazy vibe. 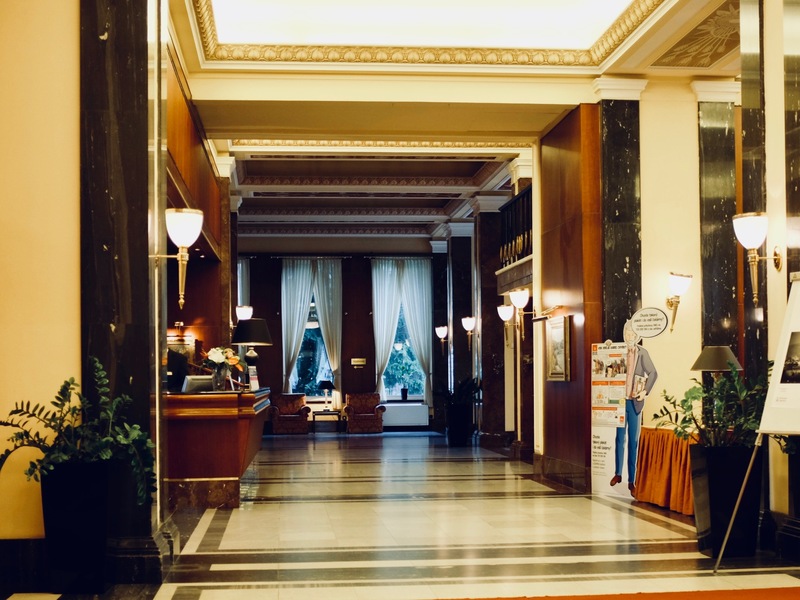 In that earlier post on the comings and goings of Prague’s Intercontinental Hotel in the 1980s, I describe the hotel's lobby as a funk of stale Marlboro smoke and knock-off perfume. The place was filled with grubby-looking moneychangers and attractive female “law students” relaxing over a drink at the bar. It was depressing but -- admittedly – pretty absorbing theater. In the aftermath of the anti-Communist revolutions in Central & Eastern Europe in 1989, these hotels have tended to fare poorly. The state-run chains have mainly been broken up and sold off to private (often foreign) investors. Some of the bigger, better-placed properties are thriving, but many of these admittedly ugly high-rises are struggling to compete with a new generation of smaller hotels, boutiques, and private offerings marketed through sites like Airbnb. To this day, Bucharest's skyline is dominated by the sharp, weird angles of the Hotel Intercontinental. 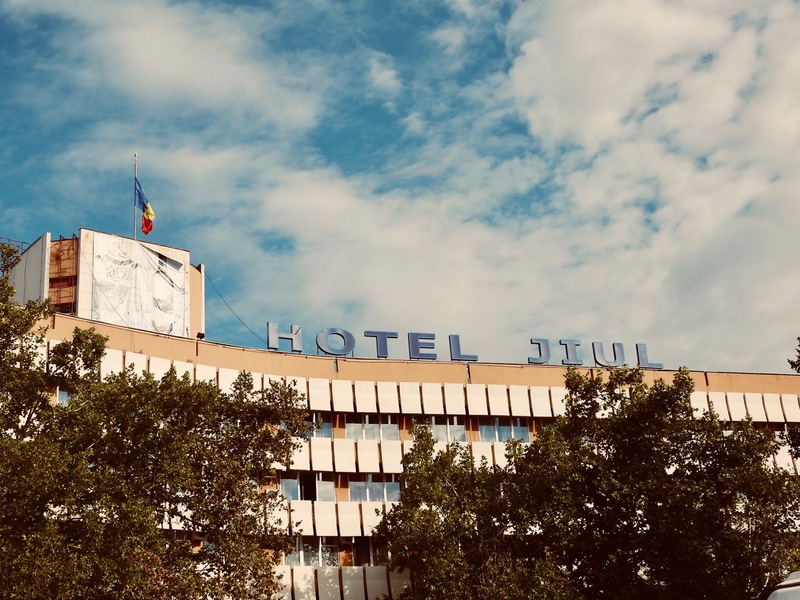 In the 1970s, the hotel was a symbol of Romania's maverick status between East and West, but the hotel plunged to the depths of sleaze in the last years of the Nicolae Ceaușescu regime in the late 1980s. These days, it's back to being a decent four-star hotel. Photo by Mark Baker. 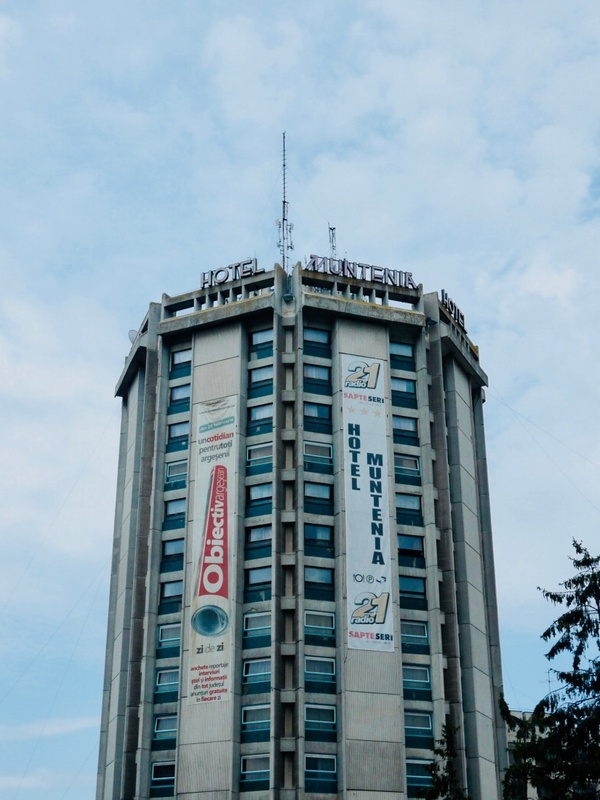 The front facade of the Hotel Continental in Drobeta-Turnu Severin, Romania. The national flags flying over a futuristic fly-out above the front entrance is a hallmark of buildings from the 1960s and '70s. 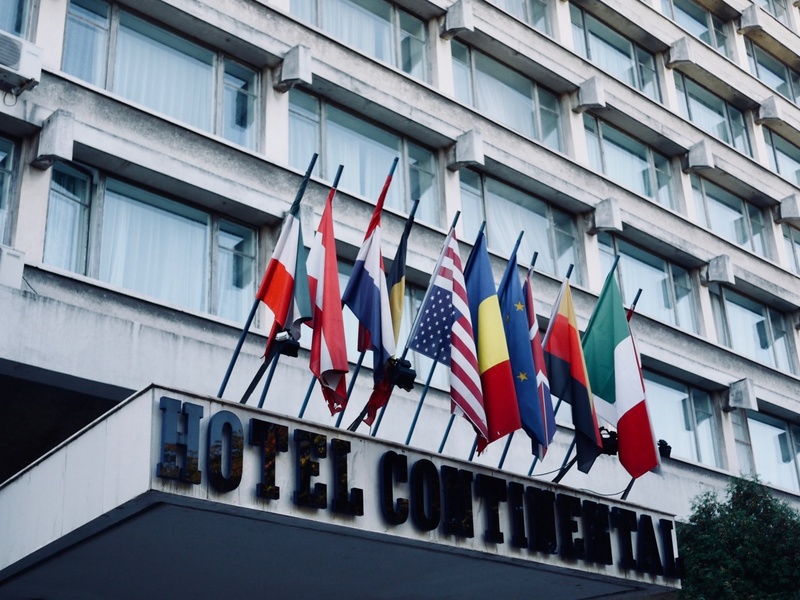 The Continental chain assumed control of many of Romania's Communist-era hotels and manages them to this day. Photo by Mark Baker. The towering Hotel Muntenia in Pitești, Romania. A typical Communist-era white elephant in that it's too large to maintain, yet the rooms are too small to command luxury prices. Last time, I checked it was still mostly empty yet still going strong. Photo by Mark Baker. The elegant, traditional lobby elements of the Hotel Muntenia in Pitești, Romania, show an almost 1950s' Socialist-Realist influence here. In my experience, Socialist-Realist buildings often have very elaborate, even bourgeois, interior design elements, as if they plan was to create luxury for the working man. Photo by Mark Baker. Smaller cities, such as Târgoviste, Romania (pictured here), grew to depend on their Communist-era, high-rise hotels (like the Dambovita Hotel). These were often the best (or only) places to stay and functioned as local centers of power. Photo by Mark Baker. Sadly, this yellow-leatherette chair ensemble of the lobby of the Dambovita Hotel in Târgoviste, Romania, had been replaced on my last visit. Part of the design aesthetic seemed to be to push bad taste to extreme boundaries, firmly into 'so bad, it's good' territory. Photo by Mark Baker. 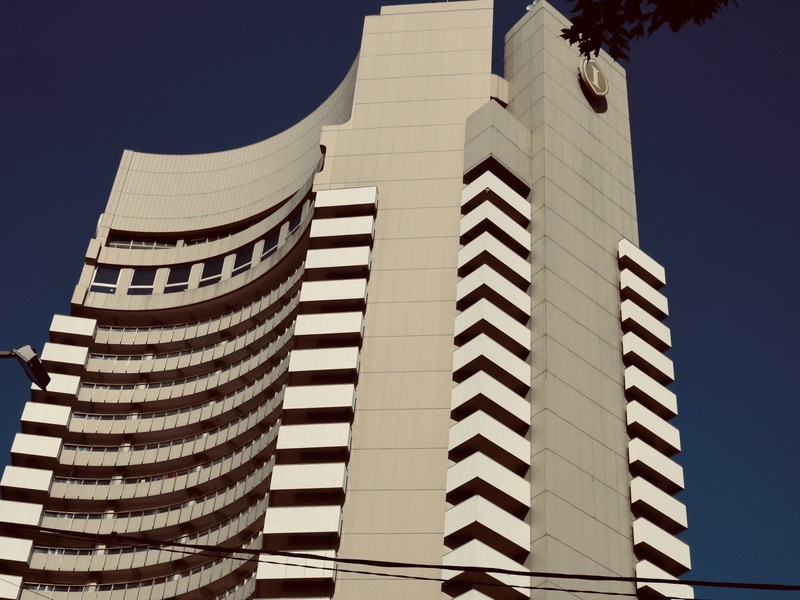 Prague's Hotel International, a perfectly preserved example of 1950s' Socialist-Realist architecture. The hotel was a 'gift' from Stalin, and the Czechs showed their gratitude by building it on the far outskirts of the city, in Dejvice. Photo by Mark Baker. 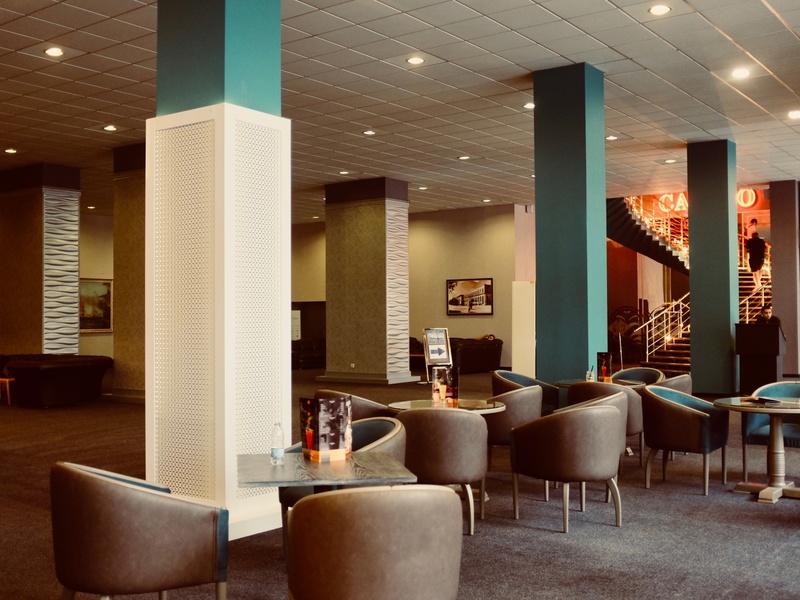 The formal elegance of the reception area of Prague's 1950s' classic Hotel International. 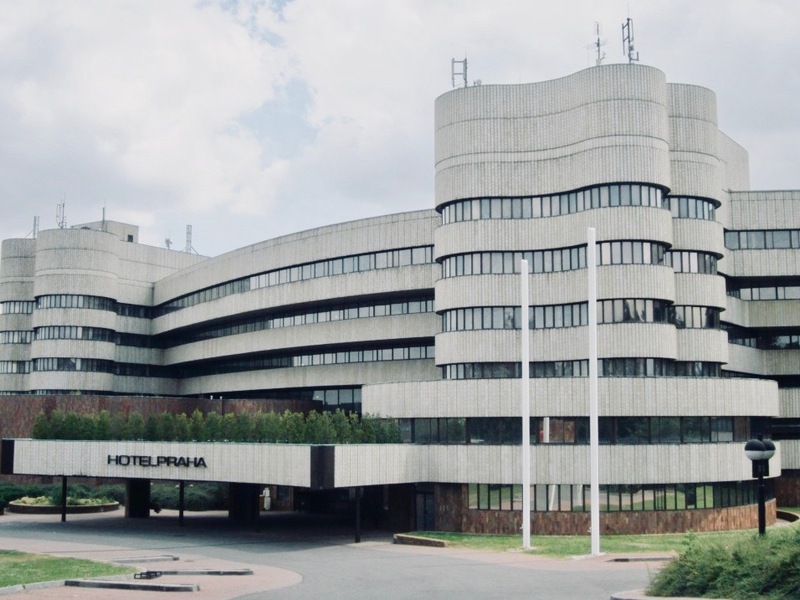 Many of the hotels built in this early phase of Communist architecture in Eastern Europe boasted lobbies and interiors that could rival the best in the West at the time. Unfortunately the style did not carry to the tiny, plain rooms. Photo by Mark Baker. A view of Prague's Hotel International in the distance. 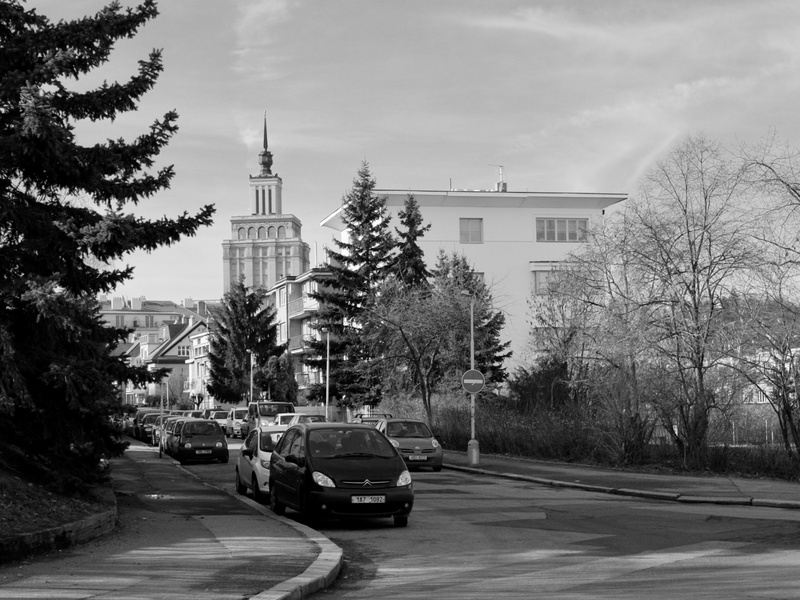 When Stalin offered the Czechs a Socialist-Realist tower of their own in the early 1950s, Prague authorities opted to build it in a bucolic residential district -- far from where anyone might see it. Photo by Mark Baker. 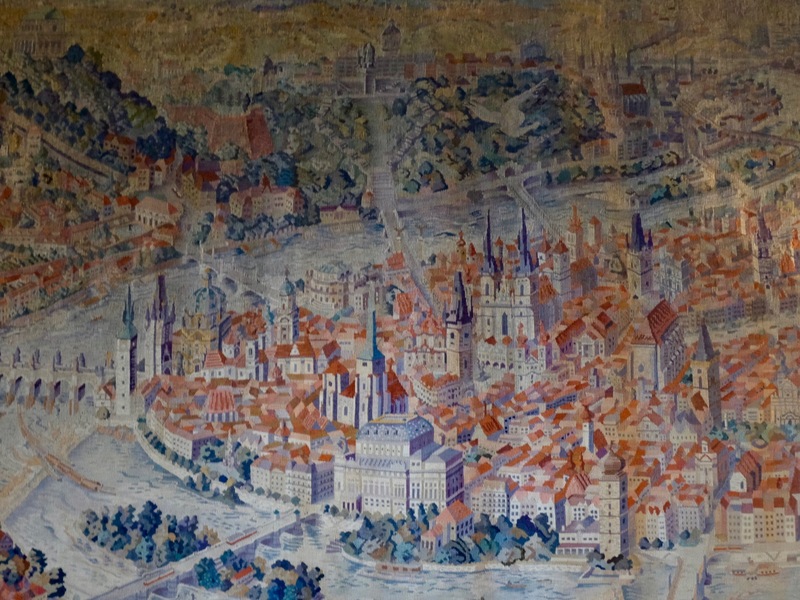 One of the highlights of the Hotel International's intact '50s period interior is the tapestry of Prague's Old Town on one of the lobby walls. At the top of the tapestry, you can easily make out the statue of Stalin, which stood at the top of Letna park from 1955 to 1962. Photo by Mark Baker. 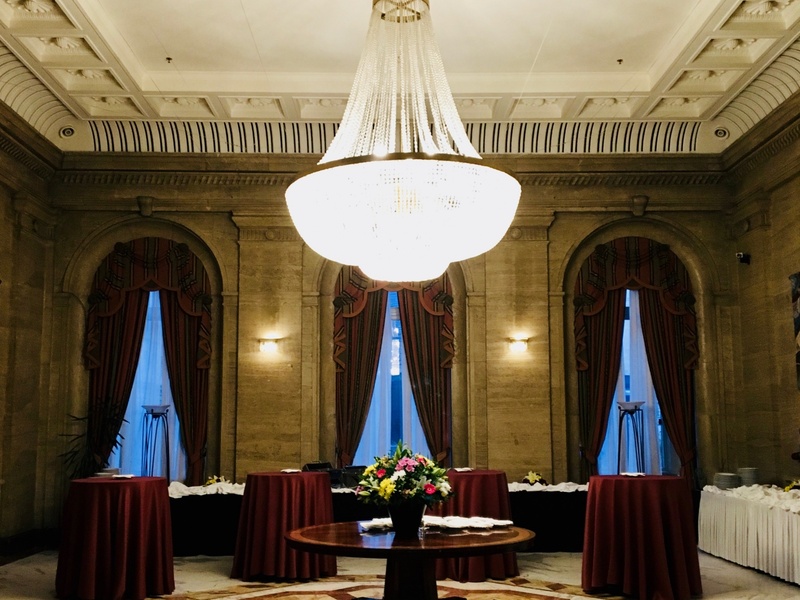 The elegant dining room of Prague's Hotel International. 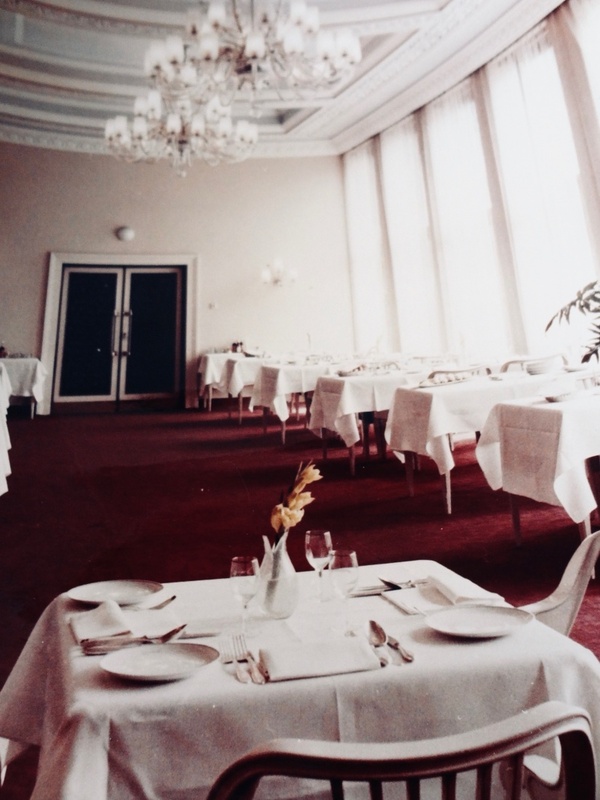 The chandeliers, white linens, and red carpets either sent the message that the common man could dine in style or reflected the bourgeois tastes of the Communist bosses who dined here. File photo. 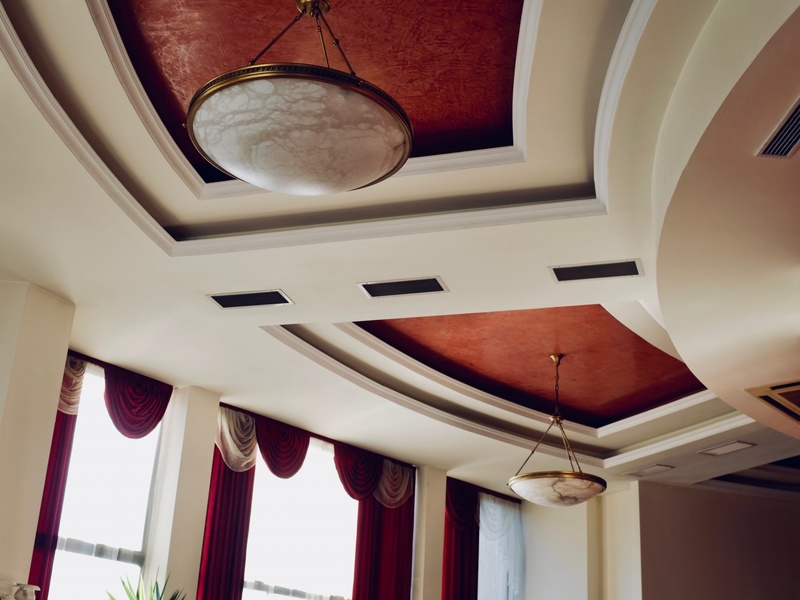 The sumptuous interior of the Hotel Balkan in Sofia, Bulgaria, is another example of the influence of 1950s' Socialist-Realist interior design. The hotel served as the capital's number one address for years, and later benefited from investment and design help from the Sheraton chain. Photo by Mark Baker. By the mid-1970s and '80s, Communist-era hotels lost some of their more playful elements and came to resemble, in many ways, their corporate, Western counterparts. 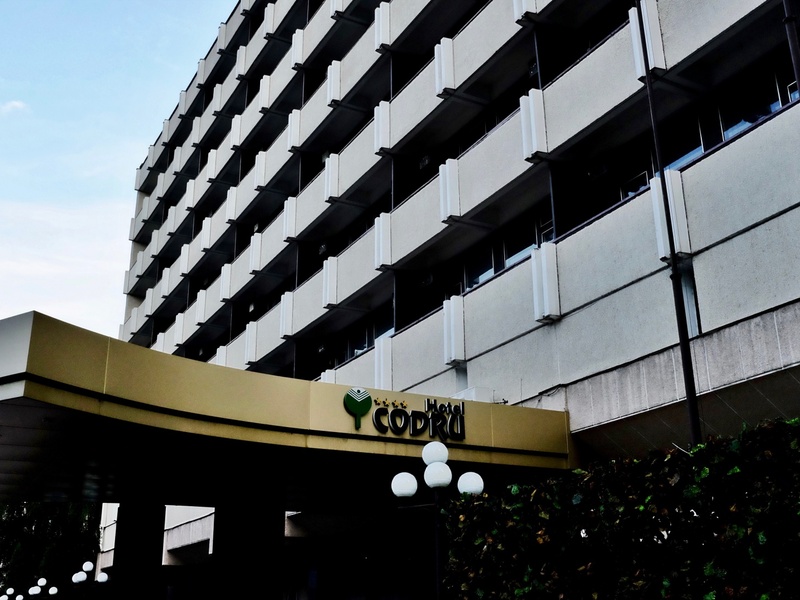 This is the facade and fly-out of the front of the Codru Hotel (1974) in Chişinău, Moldova. From the outside, it could easily be a Marriott or Ramada Inn. Photo by Mark Baker. The lobby of the Grand Hotel Ceahlău in Piatra Neamț, Romania. The designers play with color, light and materials here to create a modern, pleasing esthetic. Photo by Mark Baker. The Hotel Unirea towers over the center of Iaşi, Romania. I've stayed here several times over the years and admire its soulless anonymity and pretty views over the square. I actually fell from the steps here once (not a high fall) and ended up in the hospital (see the blog post 'When Bad Things Happen, Good Things Happen'). Photo by Mark Baker. 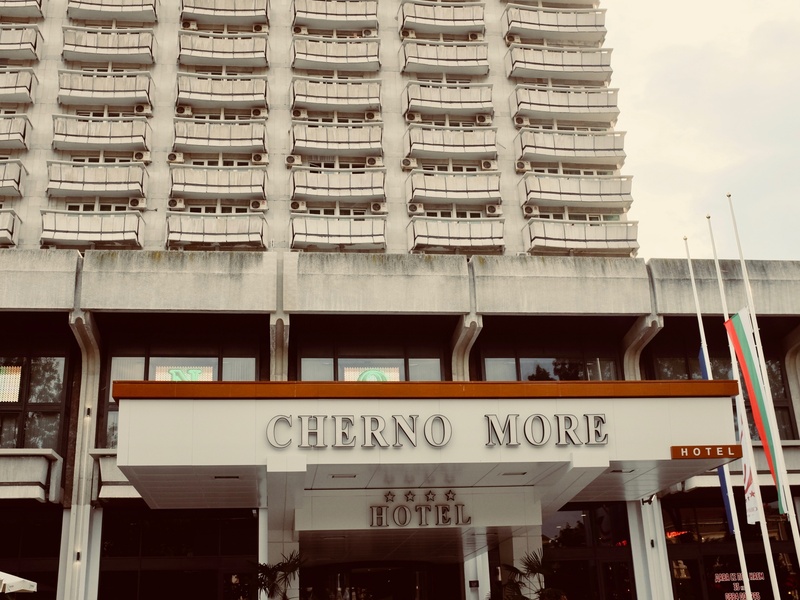 The hard '70s facade of the Hotel Cherno More (Black Sea) in Varna, Bulgaria. For years, this was one of the leading hotels in the city and is still popular. The Photo by Mark Baker. 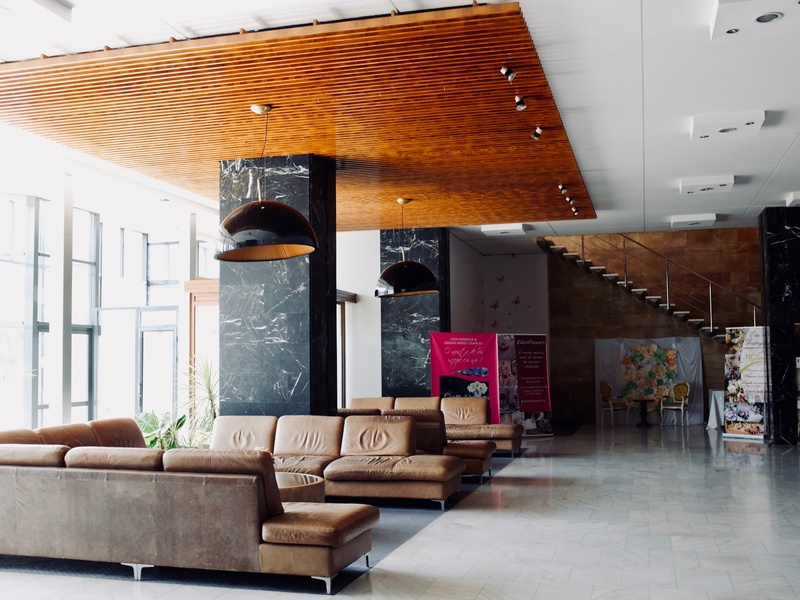 The lobby of Varna, Bulgaria's grand Cherno More (Black Sea) Hotel, once 'the' place in town for rising apparatchiks. I love it here how the designers have dressed up the oversized columns and painted them in retro cream and green. The hotel is still operating. Photo by Mark Baker. The imposing Hotel Riga in Ruse, Bulgaria. A Communist-era adaptation of the international style that reigned in the West from the late 1950s to the 'early '70s. Once the city's top address, the Riga is still a comfortable place to stay with beautiful views out over the Danube River. Photo by Mark Baker. The Communists loved to show off 'peasant' culture, and here it is on full display in the glorious lobby of the Hotel Riga in Ruse, Bulgaria. Carved wood paired with 60s-style flowers all over a vaguely lavender flooring. A Bulgarian friend, Nik Krastev, told me the wood-carved panels were actually the work of his stepfather, Miri Nanev, in the early '70s. Photo by Mark Baker. 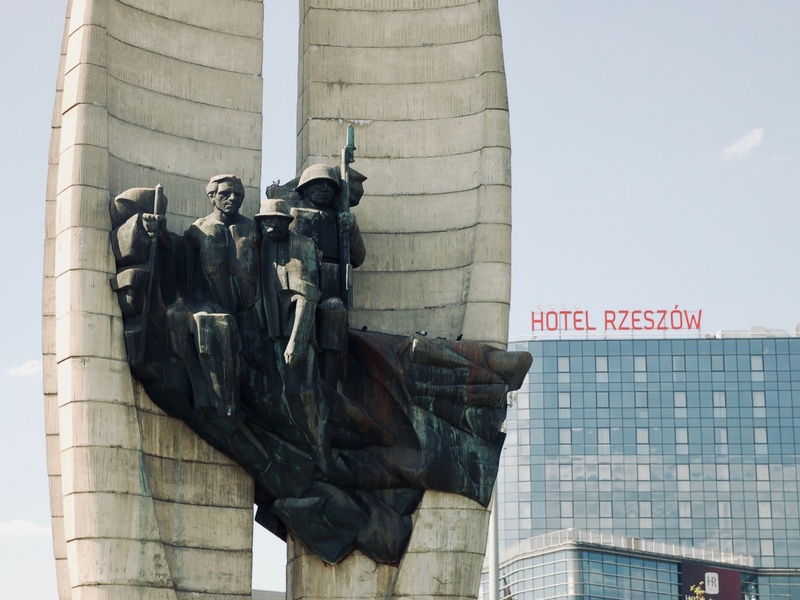 The glorious Communist-era monument to the city of Rzeszów, Poland, pairs well with the Hotel Rzeszów's rectilinear architecture (in the background). The '70s-style hotel has since been remodeled and is a very nice and comfortable four-star hotel. Photo by Mark Baker. Once the leading address for visiting Communist dignitaries, Prague's Hotel Praha was demolished in 2014 to make way for a school that was never built. The Brutalist design dates from the early 1970s, though the hotel was only finally completed in 1981. All of the 136 rooms had private terraces and views out over the Old Town in the distance. Photo credit: Progetto Repubblica Ceca. 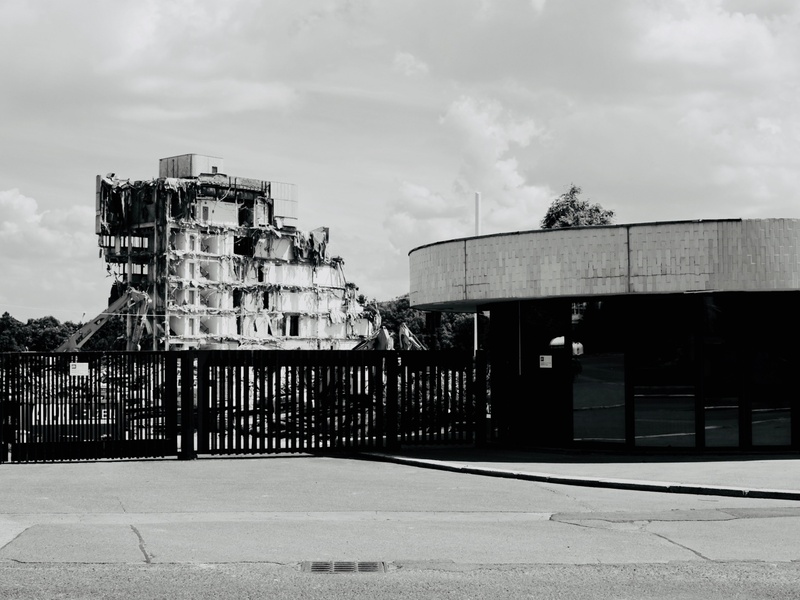 Prague's infamous Communist playground, the brutalist Hotel Praha, is pictured here at demolition in 2014. It was a magnificent eyesore, with one of the best '70s-style cocktail bars ever built. Guests included Leonid Brezhnev and (much later in the 1990s) Tom Cruise. Photo by Mark Baker. The old Hotel Forum in Krakow, Poland. This was once the grandest place to stay in the city. 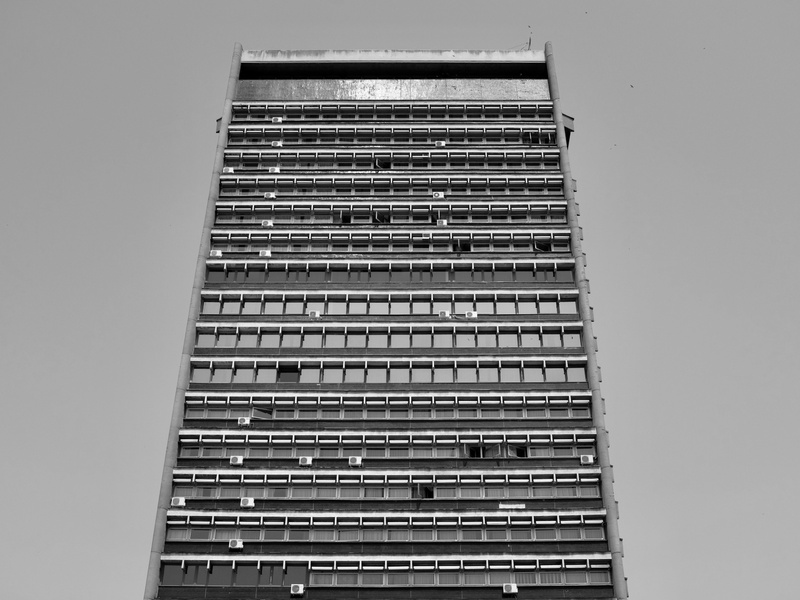 It's a Brutalist gem that dominated the riverfront and took years to build through the 1970s but quickly fell out of favor. Photo by Mark Baker. 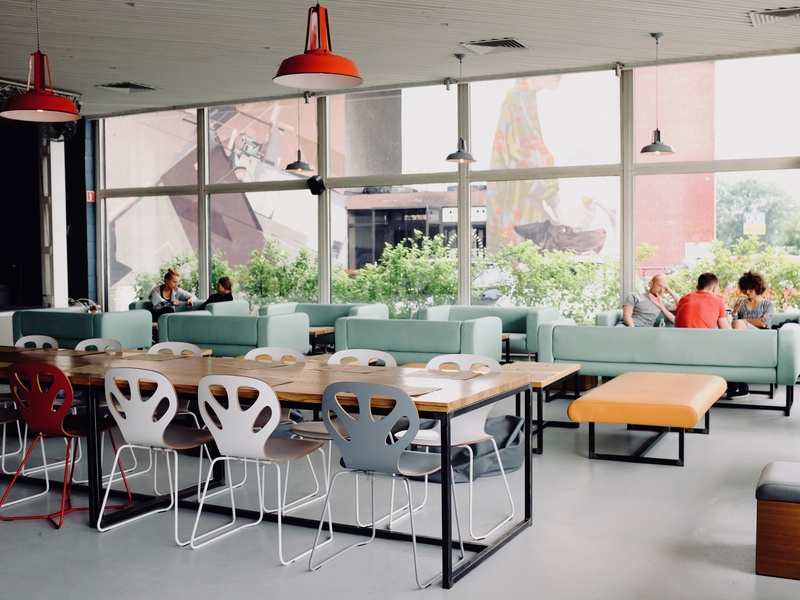 The 1970s-'80s Brutalist Hotel Forum in Krakow no longer functions as a hotel, but has been re-purposed into a laid-back coffee joint, bar, and restaurant: the Forum Przestrzenie. The cafe plays on the building's former role and retro accents, and shows how these old eyesores can be reused. Photo by Mark Baker. The front of the Grandhotel Starý Smokovec, a mountain resort in Slovakia's High Tatras that could easily stand in for Wes Anderson’s “Grand Budapest Hotel.” That movie was shot in Görlitz, a lovely time capsule on the Polish-German border, but the real-life experience was available to anyone traveling to the High Tatras. Photo by Mark Baker. Another shot of the gorgeous alpine-baroque architecture of the 19th-century Grandhotel Starý Smokovec in the Slovak Tatra mountains. The structure obviously pre-dates the advent of Communism in Czechoslovakia. 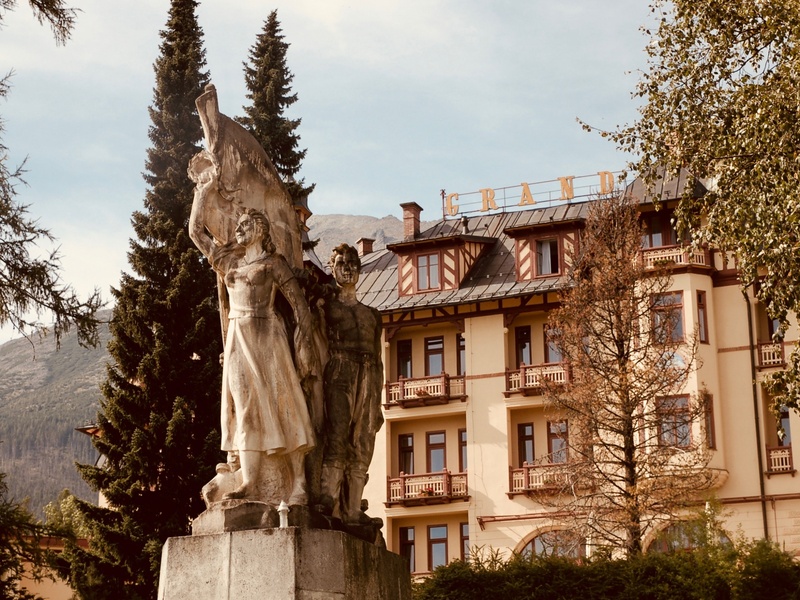 These older bourgeois hotels often posed an ideological challenge for the regimes and were sometimes given dramatic flourishes, such as the statue out front, to give them a more politically correct (for the times) aspect. Photo by Mark Baker. Terrific read and great photos, Mark. I remember several of these hotels throughout central and eastern Europe and their almost magical ability to freeze a moment in time. It’s like you’re already in the faded postcard image of the lobby when you first walk in. Hi David, thank you for taking a look and leaving a comment! “Hey, Mark, thank you for posting this. 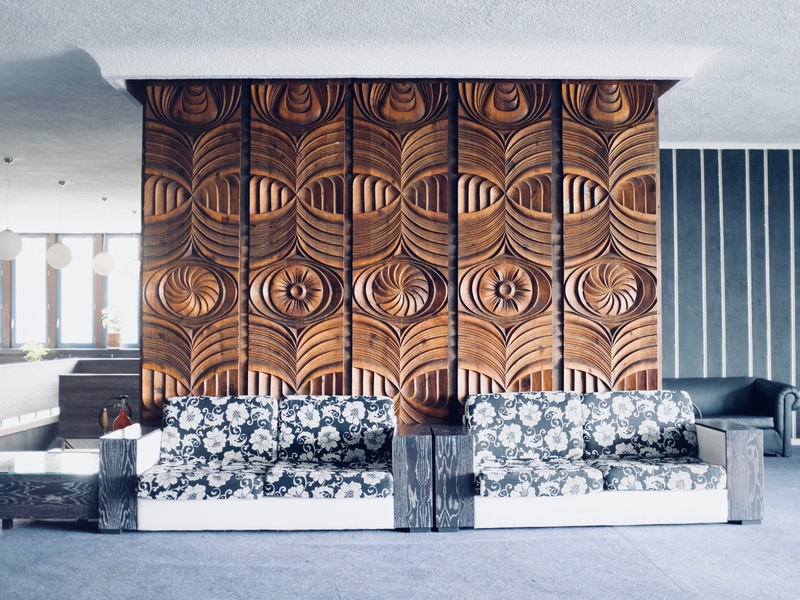 The wood carved panels in the middle are creations of my stepfather in the early 1970’s. I believe his name, Miri Nanev, and the year are carved in the lower right corner. 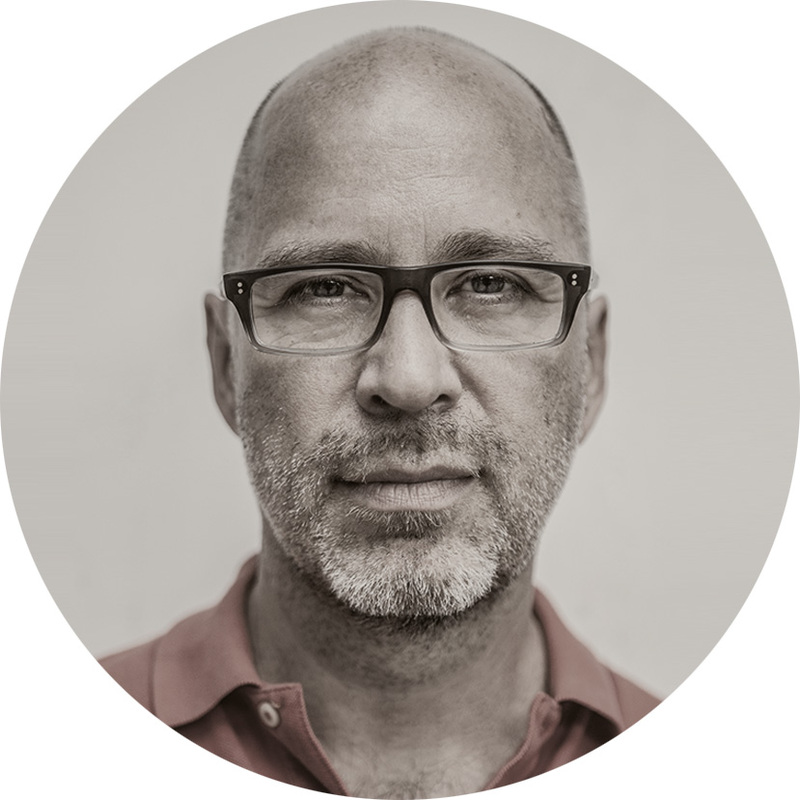 David Nykl put it nicely – those places are like time capsules. If you happen to pass through Novi Pazar in southern Serbia you should stay in Hotel Vrbak. Highly recommended. I was almost sure the hotel would feature here when I started reading. 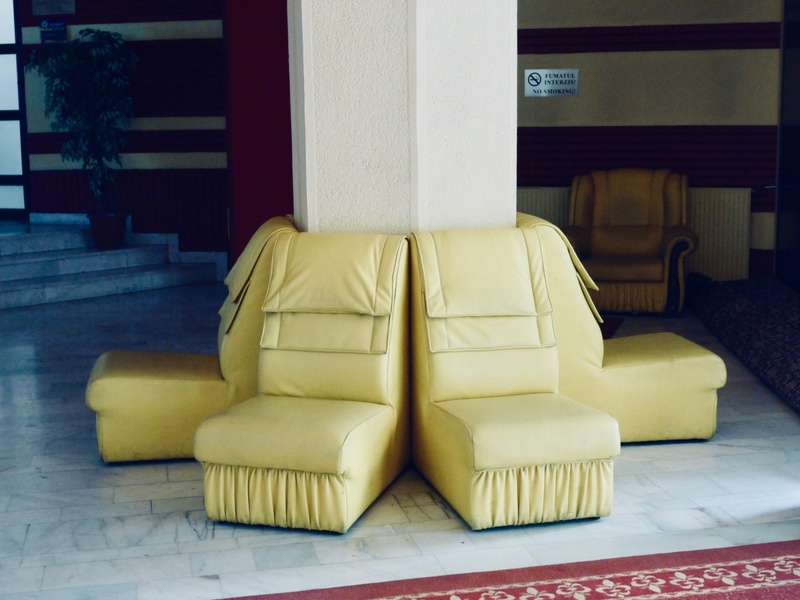 This blog post was picked up the good people at Radio Free Europe/Radio Liberty: https://www.rferl.org/a/communist-era-hotels-central-eastern-europe-weird-wacky-architecture/29065179.html and that generated lots of clicks and downloads (for which I’m grateful). I also got lots of nice notes through email and social media, all of which has convinced me to try to put together a second volume of these photos.